You must register to obtain a wholesale account with purchasing privileges. *Until you receive your confirmation email you will ONLY see RETAIL PRICING. Prices are quantities are different for WHOLESALE. Once we receive your registration, an email will be sent to you confirming your account has been set up for wholesale purchasing. ** This generally takes less than 24 hours. 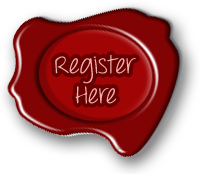 It is very important that you enter your company name upon registering. This alerts us that you’re registering for wholesale status. After you receive your confirmation email, simply go to www.aprimitiveglow.com and Login and Shop. Fall/Winter is our busy season. Please be aware wholesale orders may be on a 2 -3 week shipping schedule, depending on the size of the order. Please call BEFORE placing an order to see if our turnaround time is acceptable to you.